Apparently, everyone has heard of Zabadini except for me. It was my first time in the persian restaurant and I instantly fell in love with the ambiance. I love that we can sit on the carpet, play with the pillows and even eat on a low table as if we are cozily hanging out at home. The restaurant manager told us that Zabadini means “Core of Goodness”…oh goody goody good. Kuya Faust invited us for a treat! Thank you Kuya! 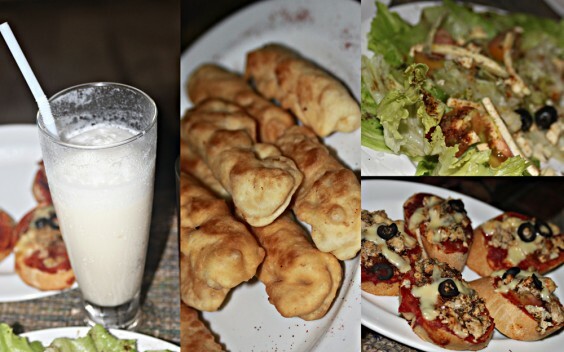 we had lassi, bruschetta, pita bread cheese stick and green salad. I just can’t help but play with the cat. Cute little *evil* creature – he doesn’t want to play with me! What a sexist. Anyway, I love Zabadini I want to go there this afternoon. Are you coming? I have an appointment with Kuya faust at Zabadani at around 5:30 pm.Hmm. . yes, we can do visit a new restaurant..how about 4pm Ate leah? I’ll be on Gmall at 1 though. hi leah, don’t worry you are not alone! ehehehe.. Haven’t heard of it either till you guys wrote about it. 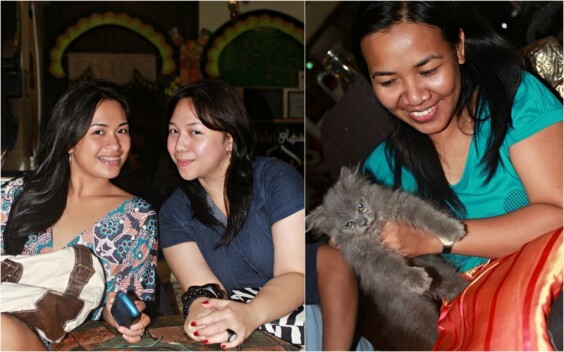 Hoping to visit soon..
Leah your not alone…1st time ko rin narinig ang Zabadini.